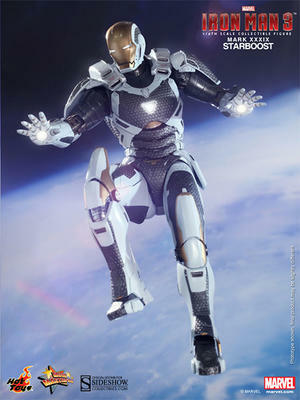 The Starboost (Mark XXXIX) suit has stood out from the crowd since its introduction in Iron Man 3. 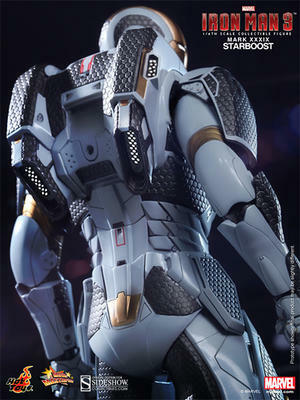 Its cool space suit design with a mixture of white, gold, and black colors has helped it become a fan favorite among all the suits from the “House Party Protocol”. 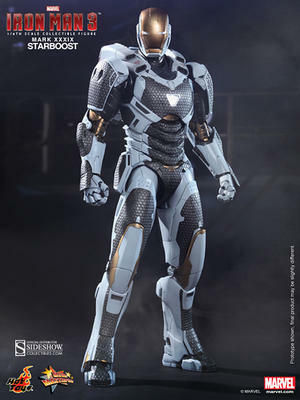 Sideshow Collectibles and Hot Toys are very excited to present from Tony Stark’s Iron Legion the Starboost (Mark XXXIX) Collectible Figure, the Sub-Orbital Suit. 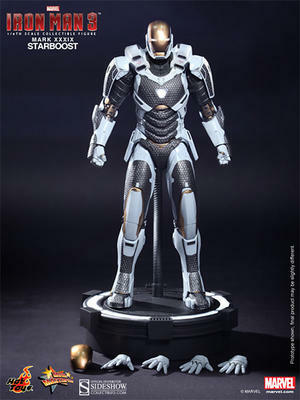 It features white, gold, and black colored armor with an embossed pattern, two gold-colored face masks, LED light-up functions and figure stand with flexible pillar for dynamic posing.